Having your hot water heater break down can be one of the worst surprises, especially when you’re about to start your day with a nice shower. Sometimes, though, the problems that shut it down can pose a hazard to both your home and your family. A hot water heater under a lot of pressure isn’t something you want to sit on! Luckily, there are some simple actions you can take to increase the lifespan of your hot water tank, and even increase its energy efficiency. 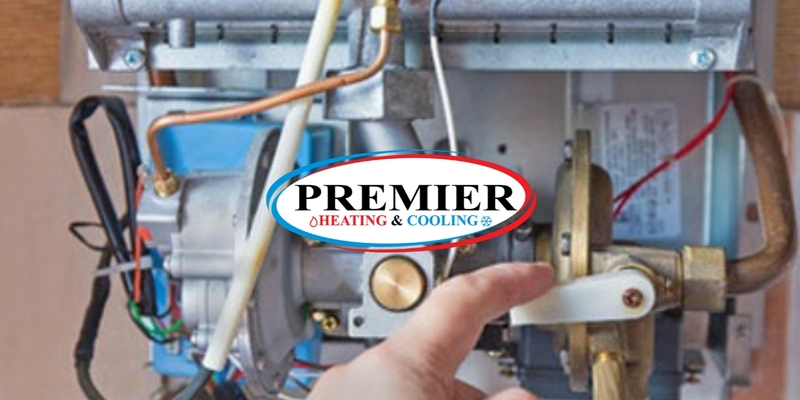 Trust Premier, your neighbourhood HVAC contractor to give you the best local water heater repair tips. 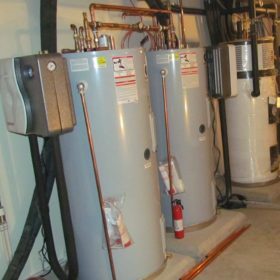 Some of the best things you can do to ensure your hot water heater run efficiently only need to be done once. For example, insulating the system to prevent heat loss is inexpensive and can save you in the long run. Buy some ⅜-inch-thick self-sticking foam insulation from your local hardware stir and slide it over the heater’s hot and cold pipes; this will prevent condensation in the summertime. You can also purchase an insulating blanket to wrap around the sides of the tank. Cut out spaces for the pipes, temperature control dial, and the TPR valve (more on that below!) and seal with foil tape. Only do this around the sides – don’t cover the top! If you’re looking to lower your energy costs, you can also adjust the temperature of the unit. Find the temperature dial on the tank and adjust it accordingly, usually with a flathead screwdriver. Every 10 degrees its lowered can save you five percent on energy! If you’re out of the home for an extended period of time, save on energy by dialling the thermostat back or even turning the water heater off altogether. Draining your tank is important to prevent the build-up of sediment and scale. Natural calcium in your water will settle at the bottom of your tank, creating a gritty sediment that can block the heating element from the water it’s trying to warm up. This causes the element to work harder, which can damage the bottom of the tank and even cause it to fall out. You can imagine what a mess that will be! Before draining, make a note of where the thermostat is set, then shut off both the energy source, whether it’s electric or natural gas and the cold water valve. Open your TPR valve to relieve the pressure and release some of it into a drain (or bucket, if there is no drain). Attach a garden hose the drain valve located on the bottom of your water heater tank, and send it to a good drainage place (either inside, in a floor drain, or outdoors). Open this drain valve and allow the water tank to completely drain, which should take roughly 20 to 30 minutes. After it’s been drained completely, close your drain valve but keep the TPR valve open to allow air to escape from the empty tank. Turn the cold water valve back on and let the tank refill. It should take no more than five minutes, so be ready to close the TPR valve Turn the energy back on, set the thermostat, and you’re all set! How often a flush is performed depends on how hard your water is. If you’re new to the area, drain it every four months to see how clear it is, and adjust accordingly if it’s hard or soft. If it’s clean, drain the tank again in six months. If you do it regularly enough, there’s no need to even drain the entire tank: watch the water escaping the tank, and if it’s clean by the fifth gallon, you can close the drain and TPR valves and start the water back up again. The temperature-pressure-relief valve, or TPR valve, is a super important piece of safety equipment that ensures your tank doesn’t overheat or become too pressurized. But scaling, that calcium build-up we discussed earlier, can stop the TPR valve from doing its job. If this relief valve isn’t working properly, you could see a dangerous rise in pressure and heat that could be explosive, causing more problems than just a cold morning shower. To make sure it can relieve the pressure in the hot water tank, open and close it several times. If it is doing its job, the valve is letting water through when opened and stopping it when closed (as you could probably guess). If no water comes out when the valve open, or water is coming out when the valve is closed, then it should be replaced immediately. If you think the valve is faulty and pressure is building, shut off the gas and water ASAP and call us! Some of these solutions are super simple, some are a bit more complicated, but all of them work to keep your hot water heater running smoothly. Read your system’s manual and take some time to examine your tank. If you have any questions, give us a call! And remember, we’re centrally located in both London and Strathroy so come by for a visit anytime. 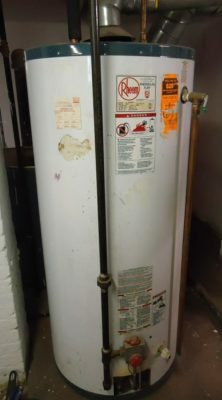 This entry was posted in Heating, Hot Water Heater, HVAC repairs and tagged hot water heater, hvac contractor, seasonal maintenance, tips.